Starting a life in a new city can be daunting, especially if you don’t speak the language. Thankfully there’s plenty of people in the same boat and there’s plenty of Chennaites willing to help newcomers out, so to that end check out these six awesome Facebook groups for people in Chennai. All of them are moderated regularly and have new posts almost every day. Arguably the most active food Facebook group in Chennai, Where Chennai Eats is a level above Zomato in terms of food recommendations. Powered by 1,84,000 members, each day will see new restaurants and eateries getting reviewed on the group, followed by people sharing their experiences of eating there. Additionally the group serves as a great place to find new restaurants if you’re looking for something in particular. So whether you’re searching for a caterer for a big party, or mutton paya across Chennai, you’ll be guaranteed to find someone who can recommend the right place for you within a short while. Click here to check out Where Chennai Eats. The city’s most popular pet Facebook group, The Pound has over 31,000 members and is constantly growing. 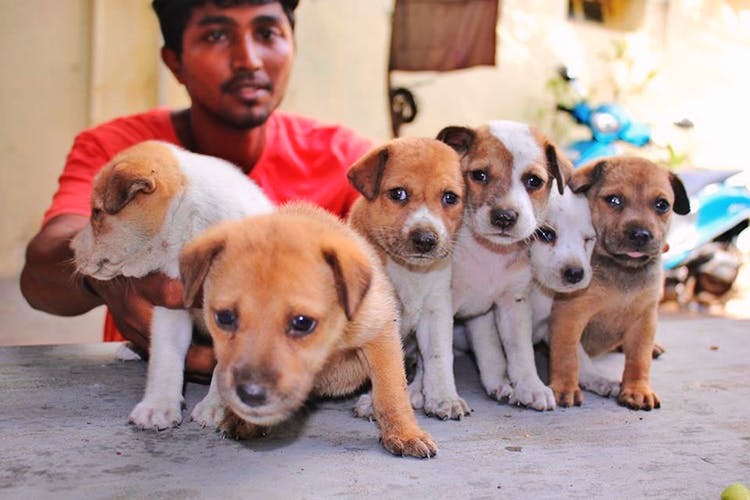 Interested pet owners in Chennai add yourselves to this group asap, as there’s plenty of dogs and cats up for adoption. Not only that, if your pet’s missing, this is definitely a place where you want to post a missing notice as there’s plenty of people willing to keep an eye out for your loved one. Not only that, if you see an injured stray in need of medical assistance, the group can help put you in touch with the nearest vet or clinic. Click here to check out The Pound. What was once an actual shopping complex in Chennai, has now moved online in the form of an Indian Craigslist. The Facebook group is 83,000 strong and connects buyers with sellers across Chennai. Goods sold can vary from furniture, books and even baby products. It’s a great place to pick up second hand goods and even new goods being sold at highly discounted rates as the group is often used by sellers to get rid of items quickly. Having said that, there are rules in place about how trades are to take place, so it is important to read the group description before you jump in. Click here to check out the Moore Market Facebook page. If you’re looking to stay updated of what’s happening in our bustling little city, join Chennai Events. The group acts as a platform for organisers to promote their events and get people to hear about them. There’s everything from acoustic music gigs to pop-up exhibitions and DJ courses for kids! Click here to check out Chennai Events. The predecessor to Where Chennai Eats, Chennai Food Guide is a little more of a real life group than a Facebook group. They regularly host cookouts and meetups with members, in addition to functioning as an active food finding platform on Facebook. Unlike Where Chennai Eats, Chennai Food Guide allows members to promote their own food brands, for example there was recently a post about a small homemade restaurant that serves up tasty dishes like Haleem and Mutton Biryani. Making this a great way to find quality eateries that wouldn’t normally get listed on food delivery websites like Swiggy or Zomato. Having said that, like Where Chennai Eats, if you’re looking for a specific dish or catering needs for an occasion, ask away and you shall be helped. Click here to check out Chennai Food Guide. The most popular group on this list is the Flats And Flatmates Chennai Chapter group. Just moved and looking for a place to stay? Join this group! They’re a “no broker allowed” group that connects people looking for places to stay with available spaces in Chennai. All you have to do is just get on the group and post a message asking for a place with your requirements and sellers will contact you. If you want to see what else is available you’ll find posts from sellers about spaces which provide basic information about the accommodation as well as rent expected and photos of the house. We’ve used them in the past and have had no issues whatsoever finding good places and great roommates.